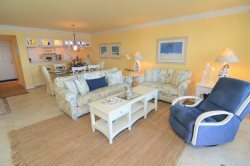 Resort Harbour Properties is located at Sanibel Harbour in Fort Myers, just across the causeway from Sanibel Island. This area of Southwest Florida is a subtropical zone featuring humid summers and warm winters. During the summer the average daily temperature 90 °F (32 °C). During the winter months the average temperature is an ideal 75 °F (24 °C). The heaviest rainfall takes place over the summer months between June and September. Check the Sanibel weather forecast to help plan your vacation.